Sedevacantism describes the situation when the See of Peter is vacant. This happens during the interregnum once one Pope dies (or abdicates) and another is elected. There exists a minority of Catholics who are convinced (in varying degrees) that since some date (which also varies) in the past, Papal Succession has ceased and that the See of Peter is vacant. Put like that, to some, it may seem laughable, but it is no laughing matter. These Catholics have often reasoned their positions out very thoroughly, and have become so convinced that this is the case, that it is almost impossible for them to recant. There is a lengthy article on Sedevacantism on Wikipedia, which is a good (if not lengthy) read. Always bear in mind, that with Wikipedia, you don’t know who the author is, or his authority on the matter. Go ahead, look through the Ecumenical Councils that have been convoked, read their promulgations, see how much has been forgotten. If a person forgets to leave his handbrake on and the car kills a child, the person will not be charged of murder. It is a terrible horrendous thing, but truthfully they are innocent (and likely to be their own judge, jury and punisher). To err, is to know one is doing something wrong, and to do it anyway. Just like any sin, it requires, matter, knowledge and forethought. Some conspiracy theorists, posit that the Popes knew that messing around with the Liturgy was wrong and maliciously chose to do it with forethought. Well, if that was the case, there would be very serious implications for the person who occupies the office (not the office itself). The problem, is that these conspiracy theorists are not psychic, they cannot prove the level of culpability of those they accuse (how much did they know, how much forethought was given, was there malicious intent? etc), and those that they accuse cannot defend themselves because they have gone to their Eternal Judgement. So based upon these two problems, we, as followers of Christ, we must adhere to “innocent until proven guilty” and de mortuis nil nisi bonum (“speak well of the dead or not at all”). Then we must wait until our lives are over to see who’s in heaven and who’s not. Only then will we know with certainty (bar the case of Miracles – more in another post another time). …to the facts. It’s been a disaster, of almost Protestant Reformation scale. But while it is an ontological tragedy, it is a very human disaster, deriving from very human mistakes. The majority of modern Popes have been treating their Pontificate like temporal despots, they can do as they will, create this, do that, go here, go there. They have lost the understanding that the Pontificate is a Stewardship, that they are charged to keep things, to look after them and not to act in a self-willed manner, for they are the steward of something which is not theirs. And not ours either, for that matter. A certain man planted a vineyard and made a hedge about it, and dug a place for the winefat, and built a tower, and let it to husbandmen; and went into a far country. Now imagine the Man comes home, and finds that the husbandmen have dug up the hedge, destroyed the winevat, taken down the tower, and made the vineyard into a dairy farm. It might be a great dairy farm, the lead Steward may be very proud of his work, “look how great a dairy farm I have made for you”. But the Man says “But I wanted a vineyard…”. This is the world we live in, where people, ordinary human beings, no greater, no less, than you or I, think they know best. They are often unaware of the subtle voice which says “choose your own way” which I mentioned in the post Habemus Papam – Pope Francis – Gift of the Holy Ghost? is not the voice of God. Christ constantly calls us to be Stewards, to “observe all things whatsoever I have commanded” (Mt 28:19-20). The Liturgy is part of Sacred Tradition, not the Magesterium, the Magesterium is not called to innovate, discard, or lay waste to Sacred Tradition, the Magesterium is called to be a Steward of Sacred Tradition, and therefore also the Sacred Liturgy. 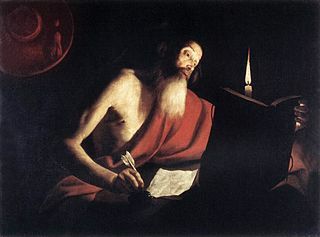 But just because the human occupants of the Magesterium of the Church, forget this mandate, and start doing things which they probably shouldn’t, it is not justification for accusing that the See of Peter is vacant. Sedevacantism is bunk. Get back in the Ark and start helping to repair the holes, bail out the water and moor the Ark to the Blessed Sacrament and Our Lady. On Pope Francis – Challenging us to become more like the poor? Is the Pope challenging us to become more like the poor? Well, we have to be very careful, firstly the Pope is speaking in Italian (not his native Spanish, despite how similar the two languages are), which we then translate into English by a translator. In any case of translation, the simultaneous translator will always perform poorly in comparison to a translation done over time. 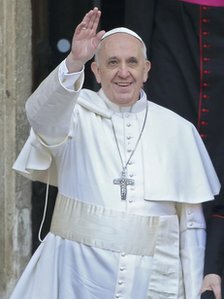 Even then, our reliance on someone else to translate what the Pope says, always means that we must be careful to weigh everything carefully and not give way to fanatical “yes-man”isms (Incidentally, this is related to the inherent weakness caused by abandoning Latin – more another time). So we have to be careful here; If he has challenged us to “becoming more like the poor” as we understand those words in English, then we need to be aware of some things. His understanding, and use of these words depends upon his personal Theology (something that is not subject to Papal Infallibility). And we must be cautious here, because “become more like the poor” smacks of Liberation Theology… St Francis may have divested himself of all his personal wealth, but he never said that we all should do the same. If, however. he is challenging us to be more like what is outlined in these two meditations, then great! Now what I am not saying, is that we should set ourselves up as mini-Popes judging every word our present Supreme Pontiff says, picking this, ignoring that. We are not pick-and-choose cafeteria catholics. The Supreme Pontiff deserves our filial trust and obedience. What I am saying is that we have, by the Supreme Good that Is God, been given the gift of reason, and that we should use it. We have to trust in God. We have to reflect on what is said to us. As Our Lady “pondered within herself” the words that the Angel Gabriel bore to her (Cf 1:26). And once pondered, discerning the spirit to be good, do obediently. God bless our Pope. Thanks be to God that the Church is no longer sedevacante (the See of Peter is no longer vacant). I confess, my initial reaction to the election was, uncharitable. I became aware my wrong, and I have subsequently corrected it (cf. Mt 7:1-5). But continually among Catholics and media alike there has been a clamour of “the Holy Ghost has chosen…“, “this is the work of the Holy Ghost…” or variations thereof. These statements are assumptions at best and outright lies at the worst. Our Catholic Faith teaches us that we possess Free Will. Our Catholic Faith also teaches us that God absolutely respects Free Will. He does not manipulate, He does not force. So in all things, there are two things in action; our own Free Will, and Gods Will. Our Will is subject to the stains of Original Sin (so we have a natural tendency to sin, and a natural aversion to the good), it is also subject to the world, and it is the predation of Satan (who has no qualms about messing with Free Will). So the Cardinals voting had to make a choice (use their Free Will). On one hand they may have been deeply pious and holy men, who were prayerful, reflective and open to the Holy Ghost, Who, in turn, expressed His Will to them. They may have voted according to this Holy inspiration. But, we will only know if that was the case, at the End of Time, when all things shall be revealed (cf Mt 10:26). Alternatively, the Cardinals may have had mixed motives, tended to selfishness, envy, pride (ambition) or any number of personal sins. They may have been influenced by the media, or peer-pressure or any number of the means of the world. They may have been tempted by Satan to follow their own will and not God’s (Satan is far too clever to just suggest following his will…). God is not limited in using what sinful man has chosen. Sinful man chose to Crucify our Lord and Saviour Jesus Christ, and by that choice, God redeemed the world. So evil, never has the last laugh. Thanks be to God, for straightening with crooked lines. Thanks be to God, that He now has a subject to infuse His Holy Ghost into. Please God, Pope Francis will be open to the Holy Ghost and whatever He desires. Of course, just as a matter of completion, Pope Francis is still free. God forbid, he can choose, if he wish, to fall to any of the same motives that may have caused his election. He is free to choose not to do Gods Will. Things could “go horribly wrong” (as many Traditionalists are worrying), but rest assured victory is assured (cf 1 Cor 15:54-57), no matter how dark, how terribly dark, things may become, the Dawn is coming. That part of Divine Revelation which has been committed to writing by persons inspired by the Holy Ghost, is called Holy Scripture, or the Holy Bible; the Book of Books. Holy Scripture is composed not only of all the Books received by Protestants as divinely inspired, but also of some other Books which were written after the Jewish List or Canon of Scripture was made, but which nevertheless are held in great veneration by the Jewish Synagogue, and by many Protestants themselves. Such are the Books of Tobias, Judith, Esther, Wisdom, Ecclesiasticus (or the Son of Sirach), the Prophecy of Baruch and the two first Books of Machabees. These Books, though not registered in the Jewish Canon, were nevertheless held by many Fathers of the early centuries as canonical and forming a part of the deposit of revealed truths entrusted to the Church. In the schismatic Greek Church, and in other separated Churches of the East, the Canon, or the authorised list of the books of Scripture, agrees with that of the Roman Catholic Church. The efforts made by early Protestants to induce the Greek Church to reject that inspired portion of Scripture, called by the Catholic Church Deutero-canonical, and by the Protestants, the Apocrypha (that is, hidden), only served to call forth repeated from the Greeks assembled in council new synodical declarations that those Books are inspired. So long as the Church had not testified with her authority to the Divine inspiration of certain Books, some of the Fathers may have hesitated about the inspiration of them, and reasonably thought that such books could not be quoted to establish revealed truth, until the Church had first cleared away all doubts, by inserting them in the Canon, and thus established the inspiration and canonical authority of those Books. This the Church did in the celebrated Council of Hippo in Africa, in the year 393, attended by all the Bishops of Africa, at which also the great Doctor and Father of the Church, St. Augustine, was present*. This list of Canonical Books issued by this great Council agrees in substance with the list of divinely inspired Books held by Catholics to the present day. 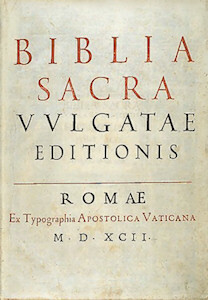 This anyone can see by comparing this list with that prefixed to the Catholic English Bible, called the Douay Bible, and with that of the old Latin Vulgate, or any other Catholic version of Holy Scripture, and likewise with the Canon of Scripture given by the Ecumenical Councils of Florence and of Trent. The Council of Hippo in 393, and the 3rd of Carthage in 379, was followed by the Sixth Council of Carthage in 419, attended by two hundred and eighteen Bishops, and by two Legates sent by the Roman Pontiff. The list or Canon of Books of Scripture decreed in the 29th Decree of this Council agrees with the list given by the two previous Councils just mentioned, and ends with these words: ‘Quia a Patribus ita accepimus in Ecclesia legendum’ i.e. ‘Because we have received from the Fathers that these are the books to be read in the Church’. These words should not be passed unnoticed by those who allow themselves to be led astry by the assertion that ‘in the name of Holy Scripture we do understand those books of whose authority there was never any doubt in the Church’ (See article VI of the Established Church of England). Let such persons reflect what an assumption it is to suppose that they themselves are, or that their leaders in the sixteenth century were, more competent to judge of the Tradition of the Church of the first four centuries than the Council of Hippo and the third of Carthage, both held in the fourth century, and the Sixth Council of Carthage held in the beginning of the fifth century; and better judges than all the Bishops of Christendom of that age; for the above list of Canonical Books sanctioned by these three Councils was thenceforward received by the whole of Christendom. Before the decision of these three Councils was given, some of the Fathers doubted the divine inspiration of the Epistle of the Hebrews, and of some other Books of the New Testament. Protestants, however, hold them as canonical. For respecting these Books they justly say: ‘This dissent of some of the Fathers moves us not. 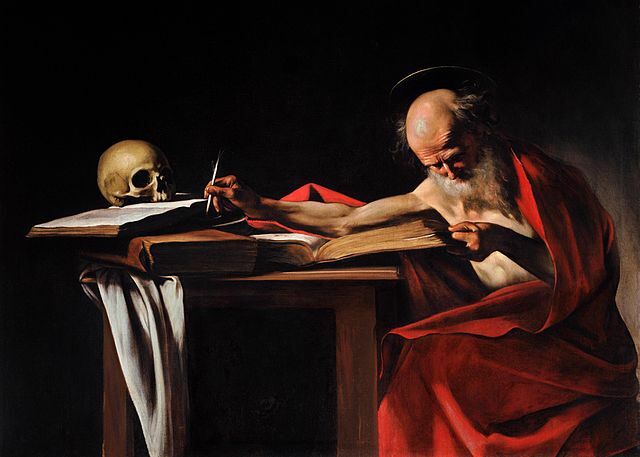 This dissent of a few, before the Canon of Scripture was finally settled, should not be taken into account, especially after the adoption of these Books as divinely inspired by all Christendom in the end of the fourth century. The Bishops of that time were in a better position to judge of the Tradition of the Church about these Books’. This observation is just. Protestants, however, should be consistent, and apply the same reasoning to certain Books of the Old Testament known by them under the name of Apocrypha. Although the inspiration of some of these Books was held to be doubtful by the same Fathers ceased to have any doubt upon it after the decision of these Councils; so that, whilst some of the Apocrypha have been considered uninspired, as the 3rd and 4th of Esdras, and 3rd and 4th of Machabees, some other of these Books have been recognised as inspired, and are called by Catholics Deuterocanonical. These have, therefore, the very same sanction and authority that all the Books of the New Testament have, in addition to the long-standing veneration of the Jewish Church for them. 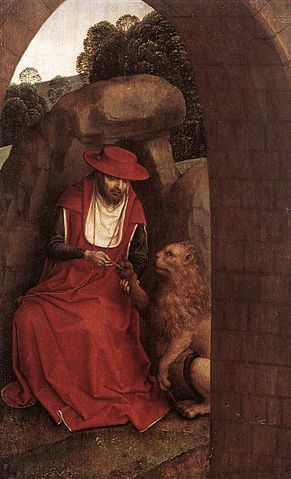 St. Jerome himself, before the said two Councils of Carthage, seemed to doubt the inspiration of the Books of the Old Testament not inserted in the Jewish Canon; yet afterwards, when the declaration made by those two Councils came to his knowledge, he ceased to doubt with regard to those Apocryphal books which were by them declared inspired, and consequently called, no more Apocryphal but Deutero-canonical, and freely quoted from those same books to uphold Catholic doctrine. About the importance, and indeed, the necessity of a decision of the Catholic Church to establish the inspiration, canonicity and authenticity of the Holy Scripture, the saying of the great Doctor of the Church, St. Augustine, Bishop of Hippo, is well known: ‘For my part, I should not believe the Gospel (meaning the written Gospel) where I not moved thereto by the authority of the Catholic Church’. ‘Ego vero evangelio non crederem nisi me Catholicae Ecclesiae commoveret auctoritas’-(Against the Epistle of Manes, called Foundation, chapter v). *Possidius in the Life of St. Augustine, referring to this Council of Hippo, thus writes:- ‘About the same time Augustine, when yet only a priest, argued (disputavit) about Faith and the Creed in the presence of the Bishops of all Africa gathered in council, being desired by them so to do’. And this he did with such praise and admiration of all, that all wished him a Bishop; and Valerius, for fear of losing him from his diocese, asked and obtained that he should be installed Bishop of Hippo in his stead, though he was yet alive. This was done in the year 394. So we believe the Church is Indefectible, which means, she cannot by her very nature, err from the Truth. This is true, in that the Church has taught that Jesus Christ, is “the Messiah, the Christ, the Son of the Living God”. She has continued to proclaim his Gospel for all to hear every day, at every Mass, since the beginning. Does the Indefectibility of the Church mean that the Gospel Truth cannot be obscured? No, the dogma is clear, She can’t defect from the Truth, that’s all. It is true, Cardinals have to take oaths, Popes have preached Crusades, the Gospel is not lived out literally in the lives of Catholics (in Holy Orders or not), but that does not mean that the Church has defected from the Truth. I think it is fair to say that on the whole we have ceased to practice the Faith as it is presented in the Gospels. I can certainly list the times today that I have not loved my neighbour as myself. My sin is always before me. But, the grace is, in knowing that I do not do the good which I ought, I know, and therefore I can do something about it. I have can begin to change, to turn around, away from, the old way, and towards the only Way. Despair begins when we deny the mystery of things, and I can certainly vouch for the baffling mystery of how the Lord has permitted the Truth to be so obscured. But I know that my job is to work on myself and not to worry about the wider workings of the world. The following is another guest article by Rev Fr Emmanuel McCarthy. It follows my battle plan wanderings – “why do you call me Lord, Lord?…”. I find Fr Emmanuel at times absolutely inspiring and at others, incredibly challenging. This particular guest article falls in the latter category. I can’t deny the truth of the article, although it makes me wish I could find fault in it. He points out the age old problem summed up by the murmuring of Jesus’ disciples “This saying is hard, and who can hear it?” – Jesus is uncompromising on the Truth, it is hard, and people have made compromises. If you can sympathise with me, leave a comment. Again you have heard that it was said to your ancestors, ‘You shall not swear falsely, but make good to the Lord what you have sworn.’ But I say to you, Do not swear at all, either by heaven, for it is the throne of God, or by the earth, for it is his footstool, or by Jerusalem, for it is the city of the great King. And do not swear by your head, for you cannot make a single hair white or black. Let your ‘Yes’ mean ‘Yes,’ and your ‘No’ mean ‘No.’ Anything more is from evil the one (Mt 5:33-37; Jas 5:12). 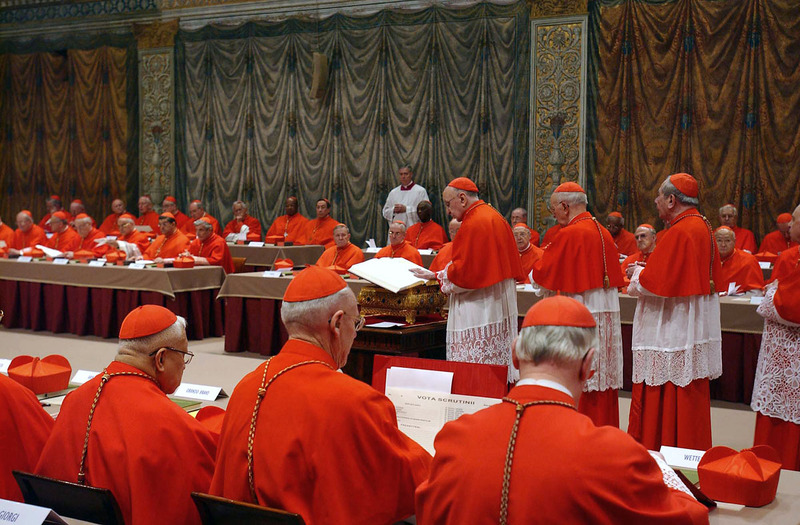 This is only the first of three oaths that must be sworn before a Cardinal is permitted to participate in the conclave in which he can be considered for the position of being the next infallible Vicar of Christ and/or of being an elector of the next infallible Vicar of Christ. The Vicar of Christ, then, is chosen by the most visible Catholic Prelates in the world via a process that directly defies the explicit teaching of Jesus and they all agree to a man to participate in it. If the teaching of Jesus is the will of God for His followers, and what is the opposite of the will of God is evil, can evil means produce good ends? Of course, if Jesus’ unambiguous, unconditional, negative command, “Do not swear at all,” can be set-aside by Cardinals when it serves their purposes, then what else that Jesus commanded cannot be cast aside? If a command—not a suggestion—spoken this clearly by God Incarnate can be so easily countermanded by Christians, then Jesus might just as well have said nothing about good and evil or anything else for that matter. Deliberately refusing to follow a straightforward negative command of Jesus hardly seems the way to select the next Rock of Faith in Jesus as “the Messiah, the Christ, the Son of the living God.” This seem especially incoherent when you are choosing exclusively from among your own “I will not obey” group. It is contrary to reason and to the entire Judeo-Christian spiritual tradition to believe that such cavalier overriding of the ipsissima verba of Christ-God will result in restoring to consonance the radical disharmony within the Church. An oath in the Old Testament and in Christianity, then, calls upon God to witness to the truth of what a person is saying, with dire consequences at the hands of the Almighty for the oath-taker if he or she intentionally breaks the oath or lies. For example, in the procedures of U.S. courts a person puts his or her hand on a Bible and is asked by a court officer, “Do you swear to tell the truth, the whole truth and nothing but the truth, so help you God?” He or she then answers, “I do.” The understanding behind this is that a person would not—and better not—lie to the court and thereby make Almighty God a participant in and witness to a lie masquerading as truth. The person “better not” do this because the unspoken understanding of oath-taking is that God will harm the person if he or she now lies. Oath-taking is calling down a temporal and/or eternal curse from God on oneself, if one intentionally does not do what one has promised under the oath. This in turn requires that God be a God of violence. No wonder governments and religions employ it. It raises significantly the probability that that they will get from the person what they want because the fear of God’s violent wrath has been planted in him or her. Perjury is the state crime of intentionally lying under oath. It carries with it the distinct possibility that pain will be inflicted on the person who lies after taking an oath. In this case, however, fellow human beings instead of God administer the violence, the pain. The state here acts as God supposedly acts, if a person lies under oath. The state in suggesting that it is imitating what God does, necessarily morally validates the pain those working for the state do to their fellow sons and daughters of the “Father of all.” What God does cannot be evil. Case closed! “Case closed” that is, unless the premise on which all oaths depend for their validity and for their utility is false, a non-existent reality, an illusion. Specifically, if God is not a God of violence, if God is as proclaimed in the opening prayer of the Catholic Mass for Peace and Justice, “God of perfect peace, violence and cruelty can have no part with you,” then taking an oath for a Christian is not even a rational act, let alone a moral one. If Holy Violence is a piece of humanly contrived self-deception, in an effort to make the Nonviolent God in the image of violent human beings instead of making violent men and women in the image of the Nonviolent God, then taking an oath is as meaningless and as much a false witness as giving a pinch of incense to Caesar as God. It is a Christian calling on an idol, a non-existing being, as God, thereby communicating to other Christians and to all humanity that what is false is true. Jesus of the Gospels is a person of Nonviolent Love (Agapé) of friends and enemies because God is a God of Nonviolent Love of all. Jesus is the Word (Logos) of God “made flesh,” the Incarnate Second Person of the Holy Trinity. This means He is consubstantial, one in Being, with the Father and the Holy Spirit. Hence, the Father and the Holy Spirit are Nonviolent since there are no contradictions in the One God, no contradictions among the Father, Son and Holy Spirit. 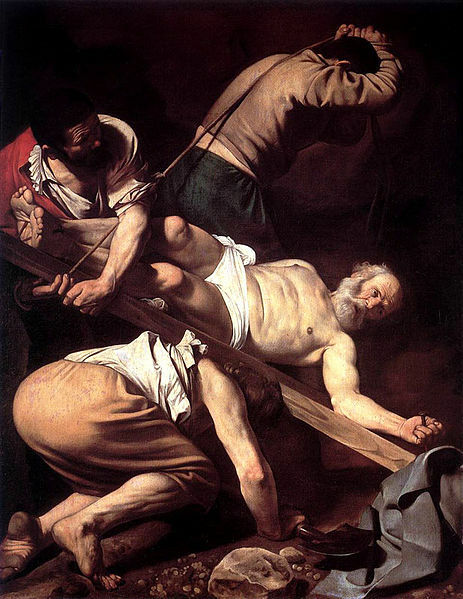 “The Father and I are one,” “I come not to do my own will but the will of the Father,” “The one who sees me sees the Father.” These declarations by the Nonviolent Jesus of the Gospels and His life lived in Nonviolent Love of friends and enemies unto execution by crucifixion, completely invalidate for the Christian the “truth” of the presumption in which swearing oaths is rooted; namely, that God is a God of violence who will employ violence against people in holy wars, holy executions and holy torture for lying under oath. So Jesus command, “Do not swear at all,” is not just a throwaway line, an irrelevant one-liner that has no relation to who He is or to anything He taught or did. On the contrary, it flows directly from and is an explicit witness to the heart and souls of the Gospel, namely, that “God is love (agape),” “Abba,” “from whose love made visible in Christ Jesus, our Lord, nothing can separate us” (1 Jn 4:8, 16; Rm 8:15; Gal 4:6-7; Mk 14:36; Rm 8: 31-39). But, a Christian swearing an oath is such a little thing, compared to all the other big things going on in the world, isn’t it? What harm can it do? What’s the big deal? But is not each human life within the immensity of time and space a little thing? Is not every act of every little life a very, very little thing? Is not a mustard seed, a grain of yeast or an atom a very little things? Is it possible that the distinction between big and little acts, significant and insignificant acts, worthwhile and worthless acts, is not what culture, the state or the media foist upon human beings from the cradle onward? Returning to the prosaic, the acts of a person can be as “big” as those of Ozymandias and the legacy of a person can last as long as that of Ozymandias and be ultimately intrinsically worthless and meaningless. An act either has eternal significance or it has no significance. As a human being cannot bestow eternal life on himself or herself (auto-salvation) or on their loved ones, so also a human being cannot bestow eternal significance on his or her acts or the acts of anyone else. Only God can say, “I AM.” I am, because God, through whom everything was created, including me, gave me existence. For what purpose did God give me existence? God gave me, and all His sons and daughters, existence in order to know Him, to love Him, to serve Him and to be happy with Him in this world and in the next. 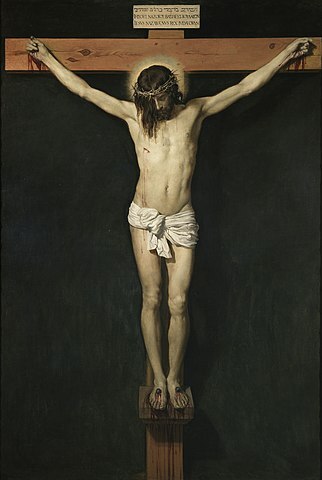 To that end, after the Fall—after human beings began to sin and suffer the innate, disordering consequences of sin and its generation to generation encrustation on the minds and hearts of people—the Father sent the Second Person of the Holy Trinity, His Word (Logos), to communicate to humanity how to fulfill the purposes for which life was given and to offer to human beings the power to do this—if in their freedom they choose to do so. “If You Love Me,” Then What—and Why? Jesus makes it clear: “If you love me, you will keep my commandments” (Jn 14:15, 14:21, 14:23; 1 Jn 5:3; 2 Jn 1:6). Equating love of Him with keeping His commandment is not an artificial, arbitrary test imposed on Christians by Jesus. Jesus in this overarching commandment is not selfishly setting-up a form of servile relationship to show He is the boss by demanding slavish obedience to His whims of vanity. This all-encompassing command is the proto-directive that points and leads to the center of that process that saves and liberates each and all from evil and death and their consequences forever. For, in loving Jesus by keeping His commandments, a person is living in unity with and in communion with God and the design of God for the salvation of all His infinitely loved and valued sons and daughters. It is loving the Father of all and the Brother of all, who are suffering because His sons and daughters and His brothers and sisters are suffering. By doing what must be done, the only effective thing that can be done—“keep my commandments”— to eliminate the source of the pain and suffering loved ones are enduring, namely, a Christian is at the same time loving Jesus and His Father. For, the person who cares for a suffering person, loves those who love the sufferer. God is love. God and all His designs are love. To choose “to obey all that I have commanded you” (Mt 28:20), to “keep my commandments,” in regard to the ways and means of the Plan of God for the salvation of all as revealed by Jesus, is to simultaneously and to authentically love God and neighbor, neighbor and God. Any thought, by any Christian of any rank, of loving God and/or neighbor by refusing to “keep my commandments,” is intrinsically self-contradictory—a moral absurdity and false witness. “In the beginning was the Word (Logos), the Word was with God, and the Word was God. All things were made through Him and without Him nothing would have been made…and the Word became flesh and dwelt among us” (Jn 1:1ff). And, then He said, “Do not swear at all” (Mt 5:33ff).